This Christmas, I got my kids an easel that has a magnetic chalkboard on one side and a white board (or dry erase board) and paper on the other side. While the options are great, the kids haven’t figured out which crayon is appropriate. As you know, special markers or pens are necessary for the white boards, as these erase easily and leave no marks behind. There are even dry erase crayons from Crayola! However, my kids mixed up the dry erase Crayola crayons with the traditional Crayola crayons. Now I have the waxy residue of typical crayons on the dry erase board – which doesn’t wash off easily! Luckily, crayon residue can be removed with the proper cleaning supplies. 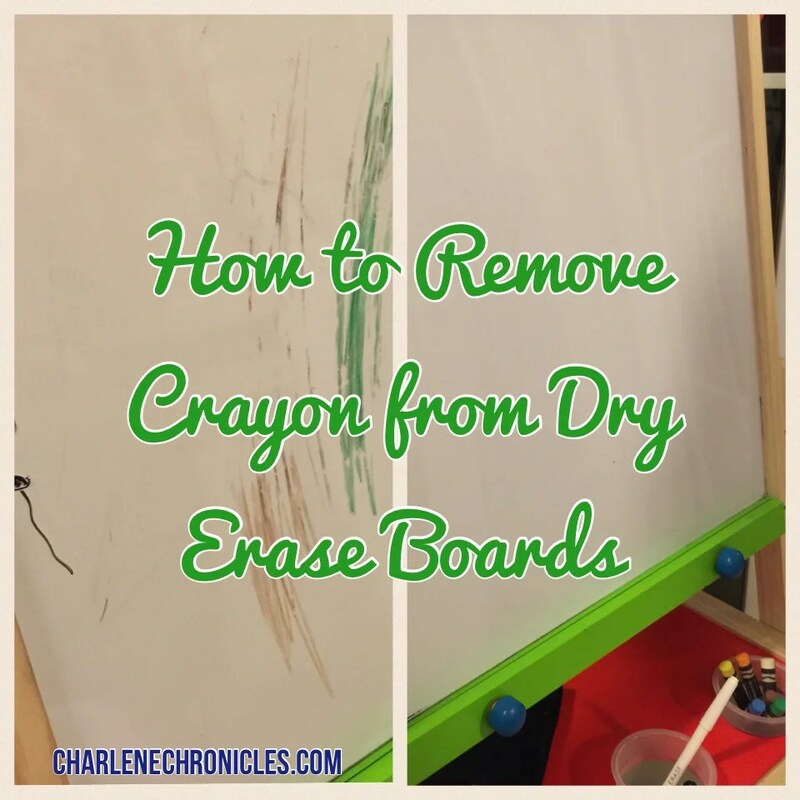 Here is how to remove crayon or marker from a dry erase board. While you can get white board cleaner at office supply stores, you can also DIY at home. Get some lint-free cloths, toothpaste and/or rubbing alcohol. Dab the white board area with rubbing alcohol using a lint free cloth. Then wipe the board down with another clean, lint-free cloth, removing any marker residue or dust in the crayon marked area. Alternatively, spread a thin layer of non-gel toothpaste over the crayon mark and rub the lint-free cloth in a circular motion. After cleaning the board, spray clear water onto the area to clean the board of the cleaning solutions, and wipe the board dry with a clean cloth. Tada! And if the kids mistake permanent marker with a dry erase marker, there is an even easier solution – just trace the permanent marker with the dry erase marker and then remove. The dry erase marker almost acts like a magnet – pulling the permanent marker up into it so when you remove the dry erase marker over the permanent marker, it is removed with it!